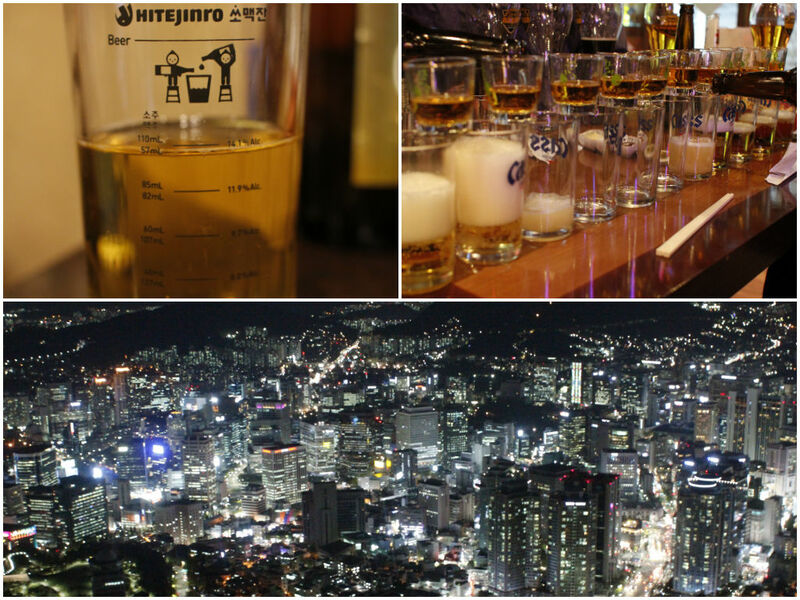 These photos are a few years old, taken when Daniel and I visited my home town, Seoul. He has already been to Korea six times, wow 6 already! 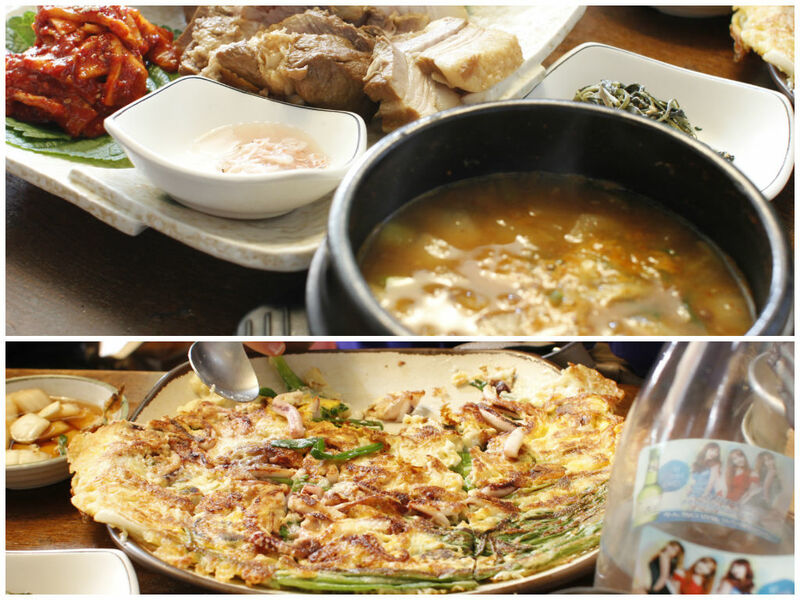 We catch up with my family and friends and most importantly eat Korean foods. 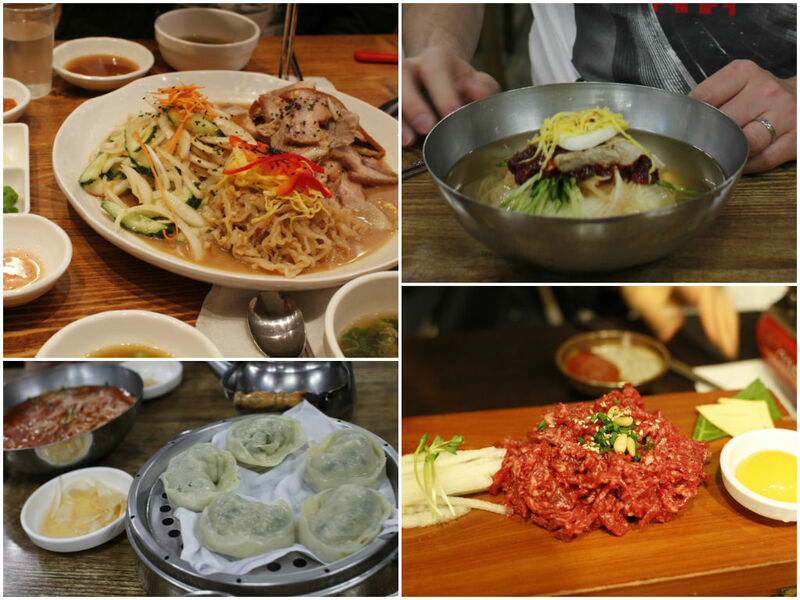 I don’t know how much of you know or are interested in Korean food. I don’t cook much Korean food at home myself, so thought it would be a good idea posting some real photos to show you how they look like (and make you hungry 🙂 ). The first photo is me with a cafe mascot called Ms. Lee. Same name, though there are thousands of Ms. Lees out there in Korea. Second photo (top right) is a seaweed soup with rice and side dishes, which I had for hotel breakfast. Third photo is barbequed duck with ssam (wrap in Korean). So how to eat? Take a variety of the greens, layered for flavour (choose from bitter, crunchy, sweet or spicy leaves), and spoon on some rice and ssamjang (a dressing made of fermented soybeans), then somehow fit in your mouth. You need to make sure not filling too much in the wrap 🙂 Focusing on fermented soy, vegetables and grains with minimal meat is a big tick for the healthy Korean cuisine. It is also fun to make ssam at the table. I find it definitely makes Daniel eat slower. The last food is Daniel’s favorite street foods, Korean black pudding and veggie tempura. We went to this Korean restaurant in Insadong and had Deonjang braised pork ssam with spicy radish Kimchi and soybean soup, and a giant seafood-scallion pancake (even bigger than a plate, can you see?). Yum! 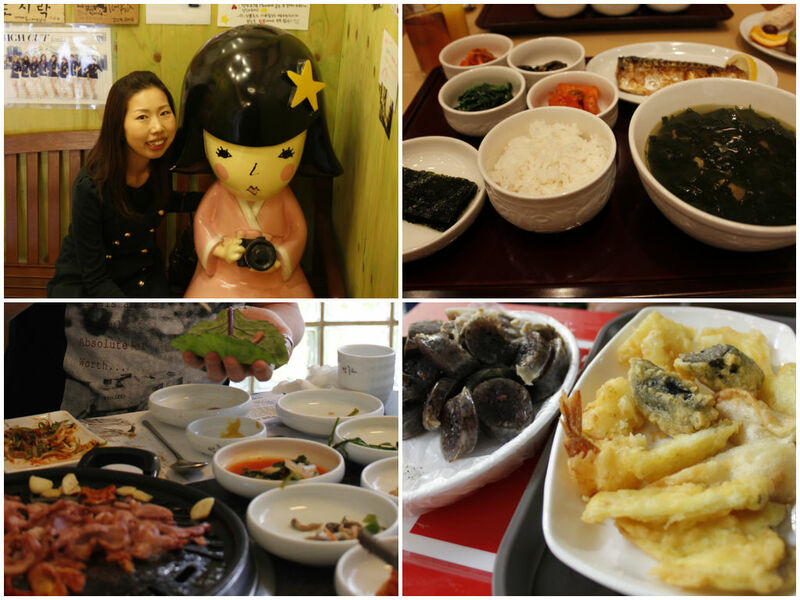 These photos are taken from last year when we went to Busan for the weekend. From the top left, kelp noodle salad with pork, veggies and wasabi dressing, cold noodles, Korean style dumplings called Mandu, and raw beef tartar with raw egg york and nasi pear. Time for desserts? Koreans love frozen desserts such as shaved ice, ice creams, ice blended drinks and scoops of ice cream pressed between waffles in Summer (or all year around?). My favorite, Patbingsu, has sweetened tender red beans, fruits, cereals and syrup on shaved ice. Truly light and bright, the taste of summer! 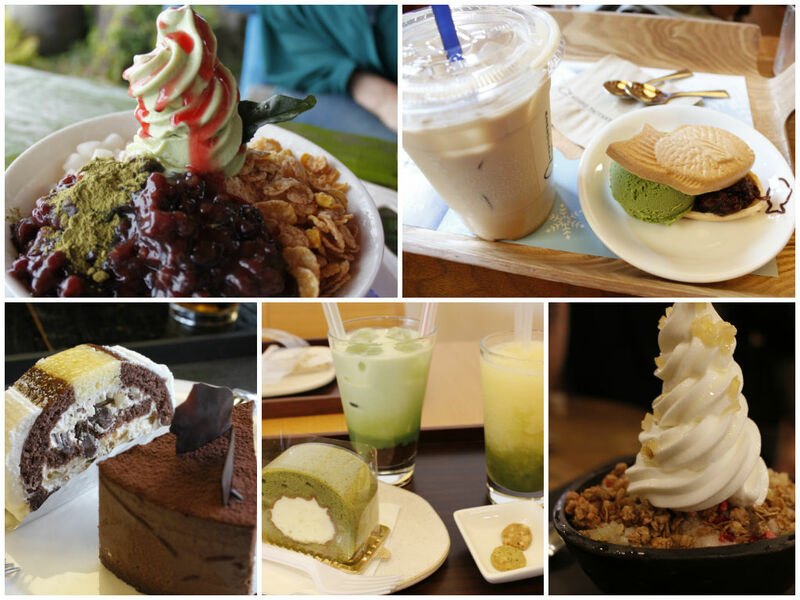 We also have a lot of green tea desserts, too.